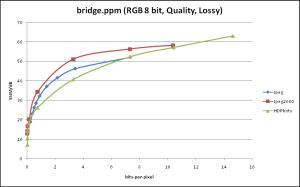 Results Preview - view all lossless results. Results Preview - view all lossy results. 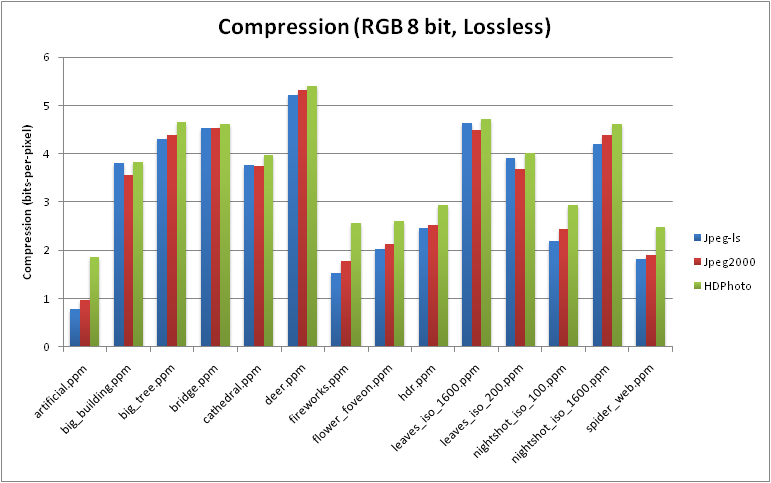 Results for lossless compressors, including Jpeg-ls, Jpeg2000, HD-Photo/Jpeg-XR. 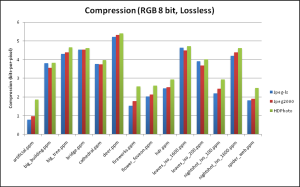 Results for lossy compressors including Jpeg, Jpeg2000 and HD-Photo/Jpeg-XR. 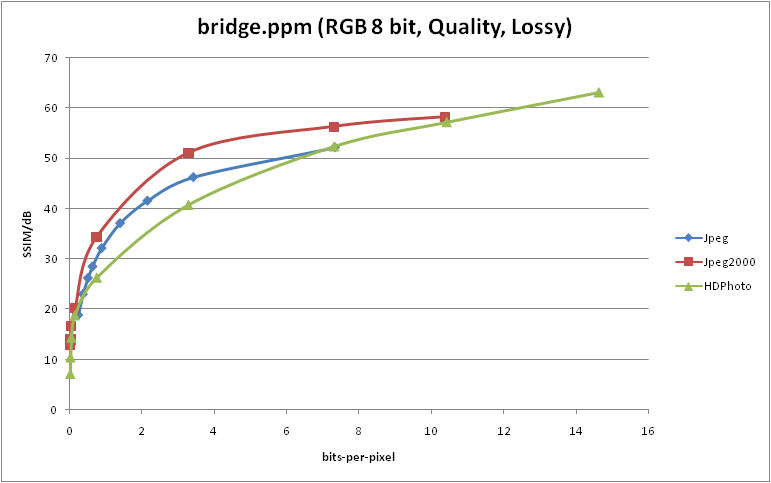 A carefully chosen set of high-resolution high-precision natural images suited for compression algorithm evaluation.